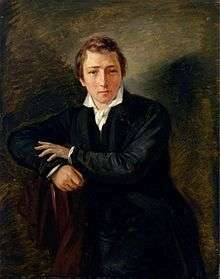 Christian Johann Heinrich Heine (13 December 1797 – 17 February 1856) was a German poet, journalist, essayist, and literary critic. He is best known outside Germany for his early lyric poetry, which was set to music in the form of Lieder (art songs) by composers such as Robert Schumann and Franz Schubert. Heine's later verse and prose are distinguished by their satirical wit and irony. He is considered part of the Young Germany movement. His radical political views led to many of his works being banned by German authorities. Heine spent the last 25 years of his life as an expatriate in Paris. 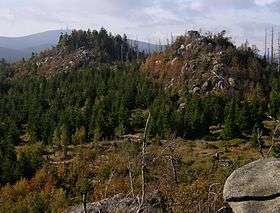 Heine was born at Düsseldorf in what was then the Duchy of Berg, into a Jewish family. 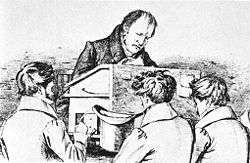 He was called "Harry" in childhood but became known as "Heinrich" after his conversion to Lutheranism in 1825. Heine's father, Samson Heine (1764–1828), was a textile merchant. 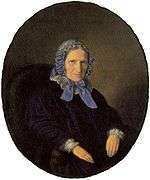 His mother Peira (known as "Betty"), née van Geldern (1771–1859), was the daughter of a physician. Heinrich was the eldest of four children. His siblings were Charlotte; Gustav Heine von Geldern, later Baron Heine-Geldern and publisher of the Viennese newspaper de:Das Fremden-Blatt; and Maximilian, who became a physician in Saint Petersburg. 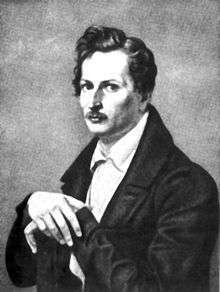 Heine was also a third cousin once removed of philosopher and economist Karl Marx, also born to a German Jewish family in the Rhineland, with whom he became a frequent correspondent in later life. Düsseldorf was then a small town with a population of around 16,000. The French Revolution and subsequent Revolutionary and Napoleonic Wars involving Germany complicated Düsseldorf's political history during Heine's childhood. It had been the capital of the Duchy of Jülich-Berg, but was under French occupation at the time of his birth. It then went to the Elector of Bavaria before being ceded to Napoleon in 1806, who turned it into the capital of the Grand Duchy of Berg; one of three French states he established in Germany. It was first ruled by Joachim Murat, then by Napoleon himself. Upon Napoleon's downfall in 1815 it became part of Prussia. Thus Heine's formative years were spent under French influence. The adult Heine would always be devoted to the French for introduction of the Napoleonic Code and trial by jury. He glossed over the negative aspects of French rule in Berg: heavy taxation, conscription, and economic depression brought about by the Continental Blockade (which may have contributed to his father's bankruptcy). Heine greatly admired Napoleon as the promoter of revolutionary ideals of liberty and equality and loathed the political atmosphere in Germany after Napoleon's defeat, marked by the conservative policies of Austrian chancellor Metternich, who attempted to reverse the effects of the French Revolution. Salomon realised that his nephew had no talent for trade and it was decided that Heine should enter the law. So, in 1819, Heine went to the University of Bonn (then in Prussia). Political life in Germany was divided between conservatives and liberals. 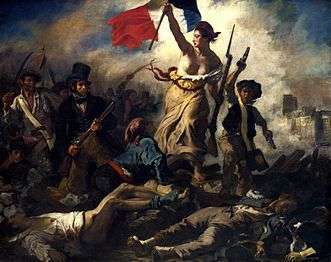 The conservatives, who were in power, wanted to restore things to the way they were before the French Revolution. They were against German unification because they felt a united Germany might fall victim to revolutionary ideas. Most German states were absolutist monarchies with a censored press. The opponents of the conservatives, the liberals, wanted to replace absolutism with representative, constitutional government, equality before the law and a free press. At the University of Bonn, liberal students were at war with the conservative authorities. Heine was a radical liberal and one of the first things he did after his arrival was to take part in a parade which violated the Carlsbad Decrees, a series of measures introduced by Metternich to suppress liberal political activity. After a year at Bonn, Heine left to continue his law studies at the University of Göttingen. Heine hated the town. It was part of Hanover, ruled by the King of England, the power Heine blamed for bringing Napoleon down. Here the poet experienced an aristocratic snobbery absent elsewhere. He also hated law as the Historical School of law he had to study was used to bolster the reactionary form of government he opposed. Other events conspired to make Heine loathe this period of his life: he was expelled from a student fraternity for anti-Semitic reasons and he heard the news that his cousin Amalie had become engaged. When Heine challenged another student, Wiebel, to a duel (the first of ten known incidents throughout his life), the authorities stepped in and Heine was suspended from the university for six months. His uncle now decided to send him to the University of Berlin. In Hamburg one evening in January 1826 Heine met Julius Campe, who would be his chief publisher for the rest of his life. Their stormy relationship has been compared to a marriage. Campe was a liberal who published as many dissident authors as he could. He had developed various techniques for evading the authorities. The laws of the time stated that any book under 320 pages had to be submitted to censorship (the authorities thought long books would cause little trouble as they were unpopular). One way round censorship was to publish dissident works in large print to increase the number of pages beyond 320. Heine went to England to avoid what he predicted would be controversy over the publication of this work. In London he cashed a cheque from his uncle for £200 (equal to £15,615 today), much to Salomon's chagrin. Heine was unimpressed by the English: he found them commercial and prosaic and still blamed them for the defeat of Napoleon. On his return to Germany, Cotta, the liberal publisher of Goethe and Schiller, offered Heine a job co-editing a magazine, Politische Annalen, in Munich. Heine did not find work on the newspaper congenial, and instead tried to obtain a professorship at Munich University, with no success. After a few months he took a trip to northern Italy, visiting Lucca, Florence and Venice, but was forced to return when he received news that his father had died. This Italian journey resulted in a series of new works: Die Reise von München nach Genua ("Journey from Munich to Genoa"), Die Bäder von Lucca ("The Baths of Lucca") and Die Stadt Lucca ("The Town of Lucca"). Die Bäder von Lucca embroiled Heine in controversy. The aristocratic poet August von Platen had been annoyed by some epigrams by Immermann which Heine had included in the second volume of Reisebilder. He counter-attacked by writing a play, Der romantische Ödipus, which included anti-Semitic jibes about Heine. Heine was stung and responded by mocking Platen's homosexuality in Die Bäder von Lucca. In 1831 Heine left Germany for France, settling in Paris for his remaining 25 years of life. His move was prompted by the July Revolution of 1830 which had made Louis-Philippe the "Citizen King" of the French. Heine shared liberal enthusiasm for the revolution, which he felt had the potential to overturn the conservative political order in Europe. Heine was also attracted by the prospect of freedom from German censorship and was interested in the new French utopian political doctrine of Saint-Simonianism. Saint-Simonianism preached a new social order in which meritocracy would replace hereditary distinctions in rank and wealth. 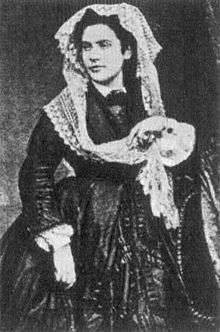 There would also be female emancipation and an important role for artists and scientists. Heine frequented some Saint-Simonian meetings after his arrival in Paris but within a few years his enthusiasm for the ideology – and other forms of utopianism- had waned. In 1840 German poetry took a more directly political turn when the new Frederick William IV ascended the Prussian throne. Initially it was thought he might be a "popular monarch" and during this honeymoon period of his early reign (1840–42) censorship was relaxed. This led to the emergence of popular political poets (so-called Tendenzdichter), including Hoffmann von Fallersleben (the author of "Deutschland Über Alles"), Ferdinand Freiligrath and Georg Herwegh. Heine looked down on these writers on aesthetic grounds – they were bad poets in his opinion – but his verse of the 1840s became more political too. In the isolation he felt after the Börne debacle, Marx's friendship came as a relief to Heine, since he did not really like the other radicals. On the other hand, he did not share Marx's faith in the industrial proletariat and remained on the fringes of socialist circles. The Prussian government, angry at the publication of Vorwärts, put pressure on France to deal with its authors and in January 1845 Marx was deported to Belgium. Heine could not be expelled from the country because he had the right of residence in France, having been born under French occupation. Thereafter Heine and Marx maintained a sporadic correspondence, but in time their admiration for one another faded. Heine always had mixed feelings about communism. He believed its radicalism and materialism would destroy much of the European culture that he loved and admired. In October–December 1843 Heine made a journey to Hamburg to see his aged mother and to patch things up with Campe with whom he had had a quarrel. He was reconciled with the publisher who agreed to provide Mathilde with an annuity for the rest of her life after Heine's death. Heine repeated the trip with his wife in July–October 1844 to see Uncle Salomon, but this time things did not go so well. It was the last time Heine would ever leave France. 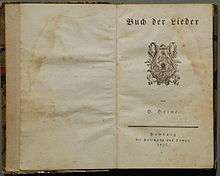 At the time, Heine was working on two linked but antithetical poems with Shakespearean titles: Deutschland: Ein Wintermärchen ("Germany: A Winter's Tale") and Atta Troll: Ein Sommernachtstraum ("Atta Troll: A Midsummer Night's Dream"). The former is based on his journey to Germany in late 1843 and outdoes the radical poets in its satirical attacks on the political situation in the country. Atta Troll (actually begun in 1841 after a trip to the Pyrenees) mocks the literary failings Heine saw in the radical poets, particularly Freiligrath. It tells the story of the hunt for a runaway bear, Atta Troll, who symbolises many of the attitudes Heine despised, including a simple-minded egalitarianism and a religious view which makes God in the believer's image (Atta Troll conceives God as an enormous, heavenly polar bear). Atta Troll's cubs embody the nationalistic views Heine loathed. In 1844, Heine wrote series of musical feuilletons over several different music seasons discussing the music of the day. His review of the musical season of 1844, written in Paris on April 25, 1844, is his first reference to Lisztomania, the intense fan frenzy directed toward Franz Liszt during his performances. However, Heine was not always honorable in his musical criticism. In April 1844 he wrote to Liszt suggesting that he might like to look at a newspaper review he had written of Liszt's performance before his concert; he indicated that it contained comments Liszt would not like. Liszt took this as an attempt to extort money for a positive review and did not meet Heine. Heine's review subsequently appeared on April 25 in Musikalische Berichte aus Paris and attributed Liszt's success to lavish expenditures on bouquets and to the wild behaviour of his hysterical female "fans." Liszt then broke relations with Heine. Liszt was not the only musician to be blackmailed by Heine for the nonpayment of "appreciation money." 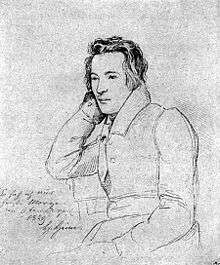 Meyerbeer had both lent and given money to Heine, but after refusing to hand over a further 500 francs was repaid by being dubbed "a music corrupter" in Heine's poem Die Menge tut es. In May 1848, Heine, who had not been well, suddenly fell paralyzed and had to be confined to bed. He would not leave what he called his "mattress-grave" (Matratzengruft) until his death eight years later. He also experienced difficulties with his eyes. It had been suggested that he suffered from multiple sclerosis or syphilis, although in 1997 it was confirmed through an analysis of the poet's hair that he had suffered from chronic lead poisoning. He bore his sufferings stoically and he won much public sympathy for his plight. His illness meant he paid less attention than he might otherwise have done to the revolutions which broke out in France and Germany in 1848. He was sceptical about the Frankfurt Assembly and continued to attack the King of Prussia. When the revolution collapsed, Heine resumed his oppositional stance. At first he had some hope Louis Napoleon might be a good leader in France but he soon began to share the opinion of Marx towards him as the new emperor began to crack down on liberalism and socialism. In 1848 Heine also returned to religious faith. In fact, he had never claimed to be an atheist. Nevertheless, he remained sceptical of organised religion. 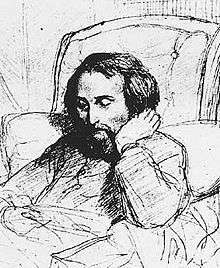 He continued to work from his sickbed: on the collections of poems Romanzero and Gedichte (1853 und 1854), on the journalism collected in Lutezia, and on his unfinished memoirs. During these final years Heine had a love affair with the young Camille Selden, who visited him regularly. He died on 17 February 1856 and was interred in the Paris Cimetière de Montmartre. His wife Mathilde survived him, dying in 1883. The couple had no children. In the 1890s, amidst a flowering of affection for Heine leading up to the centennial of his birth, plans were enacted to honor Heine with a memorial; these were strongly supported by one of Heine's greatest admirers, Elisabeth of Bavaria, Empress of Austria. 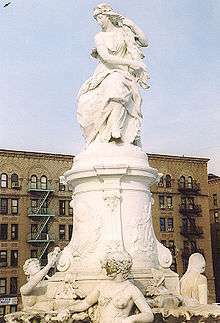 The empress commissioned a statue from the sculptor Louis Hasselriis. Another memorial, a sculpted fountain, was commissioned for Düsseldorf. While at first the plan met with enthusiasm, the concept was gradually bogged down in anti-Semitic, nationalist, and religious criticism; by the time the fountain was finished, there was no place to put it. Through the intervention of German American activists, the memorial was ultimately transplanted into the Bronx, New York City. While it is known in English as the Lorelei Fountain, Germans refer to it as the Heinrich Heine Memorial. 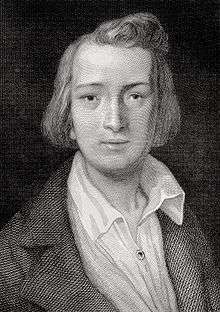 Also, after years of controversy, the University of Düsseldorf was named Heinrich Heine University. Today the city honours its poet with a boulevard (Heinrich-Heine-Allee) and a modern monument. A Heine statue, originally located near Empress Elisabeth's palace in Corfu, was later rejected by Hamburg, but eventually found a home in Toulon. In Israel, the attitude to Heine has long been the subject of debate between secularists, who number him among the most prominent figures of Jewish history, and the religious who consider his conversion to Christianity to be an unforgivable act of betrayal. Due to such debates, the city of Tel-Aviv delayed naming a street for Heine, and the street finally chosen to bear his name is located in a rather desolate industrial zone rather than in the vicinity of Tel-Aviv University, suggested by some public figures as the appropriate location. 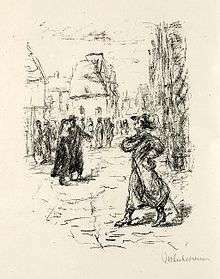 Ha-‘Ir (העיר "The City", a left-leaning Tel-Aviv magazine) sarcastically suggested that "The Exiling of Heine Street" symbolically re-enacted the course of Heine's own life. Since then, a street in the Yemin Moshe neighborhood of Jerusalem and, in Haifa, a street with a beautiful square and a community center have been named after Heine. A Heine Appreciation Society is active in Israel, led by prominent political figures from both the left and right camps. His quote about burning books is prominently displayed in the Yad Vashem Holocaust museum in Jerusalem. (It is also displayed in the United States Holocaust Memorial Museum). ↑ "There was an old rumor, propagated particularly by anti-Semites, that Heine's Jewish name was Chaim, but there is no evidence for it". Ludwig Börne: A Memorial, ed. Jeffrey L. Sammons, Camden House, 2006, p. 13 n. 42. ↑ Heine's draft for Préface in the French edition of Lutezia (1855), DHA, Vol. 13/1, p. 294. ↑ David B. Dennis, Inhumanities: Nazi Interpretations of Western Culture (Cambridge and New York: Cambridge University Press, 2012), pp. 110-123. 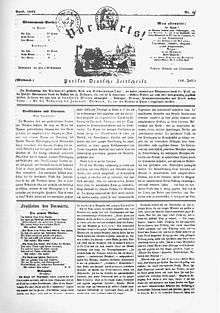 ↑ "Ein Heinrich Heine-Denkmal in Hamburg," Völkischer Beobachter, October, 1926; as found in Heinrich Heine im Dritten Reich und im Exil by Hartmut Steinecke (Paderborn: Schöningh, 2008), p. 10-12. ↑ Feldman, Morton (2000). Friedman, B.H., ed. Give My Regards to Eighth Street. Cambridge: Exact Change. pp. 120–121. ISBN 1-878972-31-6. ↑ Sturm und Drang Over a Memorial to Heinrich Heine. The New York Times, 27 May 2007. ↑ Jewish Postcards from... haGalil onLine. ↑ The title page says "1822"